Famously “banned” for more than a year by Iranian authorities, this taboo-breaking film is based on Manijeh Hekmat’s long fieldwork among women prisoners in Iran. She depicts the lives of Iran’s lost generation in the two decades since the 1979 Islamic Revolution, using the claustrophobic life of women behind bars as a metaphor for the entire society. Her protagonist, Mitra, is in prison for killing her violent stepfather. On the eve of a prison riot she confronts Tahereh, the new warden, whose dogmatic views she challenges fearlessly. Over the course of the next 20 years, Tahereh’s attitude toward her prisoners changes and softens, which reflects the country’s shifting political stance. Eventually, Mitra, aged and exhausted, is finally released, but Tahereh left behind, is now more like a prisoner herself. Romeu, Patricia A. 2003. Women’s Prison: Study Guide. The Global Film Initiative. Three Iranian women must contend with a repressive political regime that has placed a stranglehold on nearly every aspect of their lives in this hard-hitting social drama. In a nation where a woman cannot buy a bus ticket out of town or accept a car ride from a man, much less have an abortion, it’s not difficult for women to find themselves on the wrong side of the law. 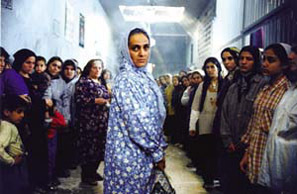 Arezou (Maryiam Parvin Almani), Nargess (Nargess Mamizadeh), and Pari (Fereshteh Sadr Orafai) are left to fend for themselves after leaving an Iranian penal institution. Arezou and Nargess want to get out of town, but as they try to buy tickets to another city, find they must resort to prostitution to do it. Pari is in even worse straits; she’s discovered she’s pregnant, but she can’t legally obtain an abortion without a husband’s permission. 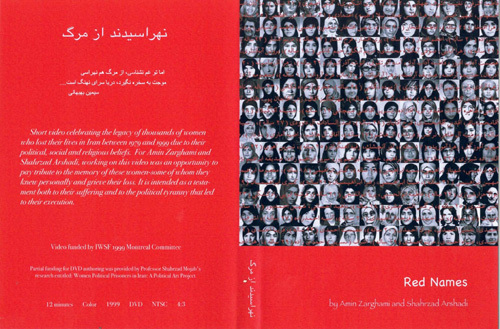 Pari searches for help among former cellmates Monir and Elham, both of whom are now unhappily married, while learning just how many desperate women roam the streets of Iran. As one might expect, Dayereh was highly controversial in Iran and was initially banned by the government, though it received a limited release after winning the Golden Lion at the 2000 Venice Film Festival . A little butterfly flies on a huge ocean. It cannot stop moving and no land is in sight. A little boy paints birds as a gift for his father who is in prison. The prison guard doesn’t allow him to give the paintings to his father, but the little boy finds a way.